A beautiful light that shined bright for 100 years is no longer shining. “Mama Mattie”, as she was affectionately known to all who loved her, traded her wings for a crown on Tuesday, January 15, 2019. Mattie Raby Williams Banks was born May 12, 1918 in St. Francisville, Louisiana. She was the seventh of nine children born to loving parents, Sebeal and Carrie Eames Raby. The family later made Baton Rouge, Louisiana their home. Mattie accepted Christ at an early age and was baptized in Baton Rouge, where she also received he formal education. In 1937, Mattie was joined in matrimony to Ira Williams, to their union seven children were born. In 1951, the Williams family moved to San Diego, California; where Mattie worked various jobs, including University California San Diego “UCSD”, where she retired in 1978. Mattie later met Arthur Banks and they united in marriage in 1980. The union remained until his death in 2003. Upon arriving in San Diego, Mattie united with the First Chapel Church of God. She later moved her membership to Mt. Erie Baptist Church under the leadership of Reverend Patrick and continued under the leadership of Reverend Walter G. Wells. She greatly enjoyed attending the annual Christmas banquets and she enjoyed the fellowship. Mattie was a very active and faithful member until her health began to deteriorate. Mattie was also very active in the community. She was a member of the John F. Kennedy Democratic Club, she even attended the Democratic National Convention in San Francisco, California. She was also a member of several other community civic services, including the Voguettes women’s social club, the Neighborhood House senior citizens program. She was an excellent seamstress and a member of Carolyn Burns’ sewing class. She often modeled her own beautiful, unique designs. Mattie loved to travel. She especially loved going on cruises, and visiting family and friends in Baton Rouge. “Mama Mattie” was known for her big heart and generosity. Her door was always open to those who had no place to go and there was always a pot of food on the stove! Mattie loved to fish, she and her beloved husband “Banks” would often fish at Lake Morena and Salton Sea. Mattie was preceded in death by her parents, four brothers, four sisters and one great-grandson. 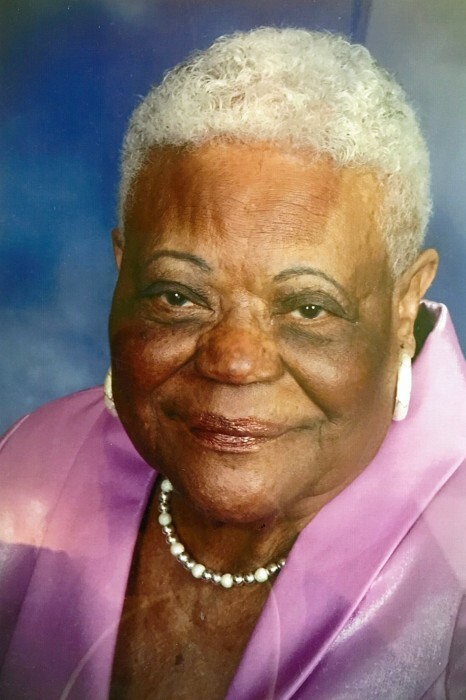 “Mama Mattie” will be forever cherished by her children, Leonard Williams (Joanne), Irving Williams (Ethel), Herman Williams (Camilla), Juanita Nash (Walter), Charles Williams, Betty Segovia (Mark) and Janice McElvaine (Rodney); 22 grandchildren, 45 great-grandchildren, 28 great-great grandchildren and host of nieces, nephews other relatives and friends.